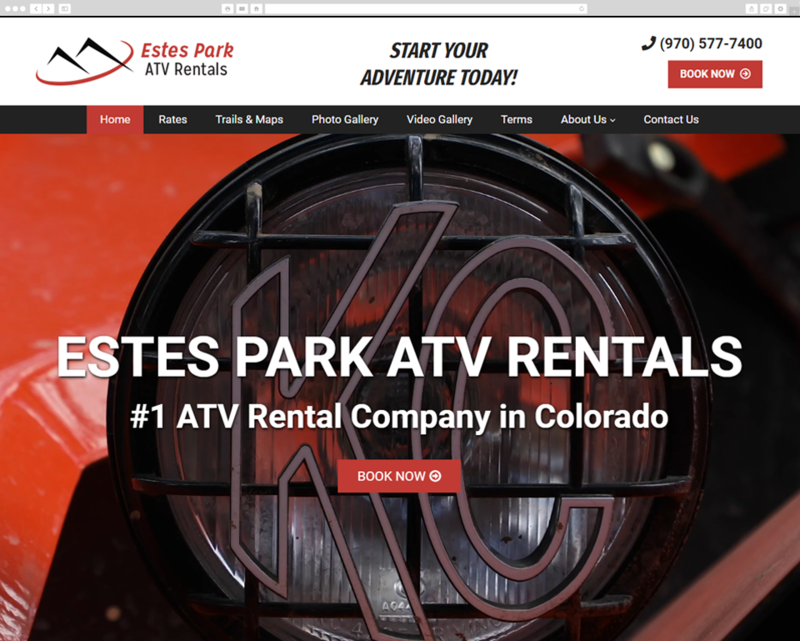 Red Kite worked under the art direction of DaGama Web Studios to create a new design and develop the custom WordPress website for Estes Park ATV Rentals. 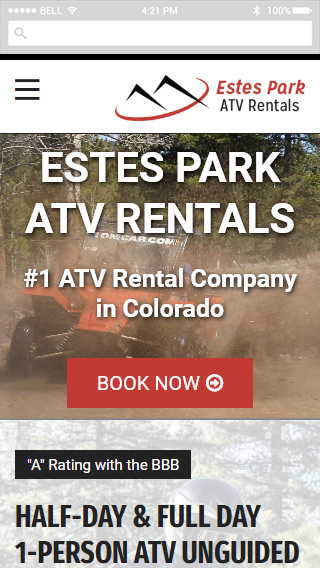 The site has both a photo gallery and video gallery, home page call-to-action video, detailed info on each type of rental vehicle, and is connected to an online booking service for quick rentals. There were several features our client benefited from having on his new website: EstesParkATVRentals.com. I presented these ideas to Red Kite and they came through for me and my client, once again. Red Kite presented a few different directions we could have chosen in order to have a fast-loading video in the header section. And, also, presented solutions for me to choose from for the photo gallery and video gallery. Red Kite really puts in the time and “elbow grease” to get projects done right, as well as on time. Our client, EstesParkATVRentals.com, wanted to have a fabulous website that would be a great improvement over the old one. He is extremely happy and proud of his new website. We always say it takes “teamwork to make the dream work” and Red Kite and DaGama Web Studio collaborated to deliver a fabulous, user-friendly website with features that will convert more users into becoming actual customers for our client.